WordPress Anniversary (5 years) – O.D. Posted on March 29, 2019 by O.D. I’ve skipped over three of my blog anniversaries in the past because I don’t usually put much thought into it. Ask any of my friends, it’s the same way with any of my birthdays. But occasionally, I like to get into it a little; if only just a little. Within five years I’ve managed to meet some truly remarkable people here. Some of which I have grown to call friends. They may not see me the same way, but that’s not the point. What’s important to me is the unseen connection we all have; the knowledge we share either through our respective talents or through what we say to each other. My blog has changed over the years. Slowly morphing into an ideal representation of me. And the truth is; it’s not done yet; it will never be done. You may see me adopt a new style of poetry; a new form of story-telling; a new theme; all that good stuff. Because I love this blog. I love how it has helped shape me into who I am now, how it has allowed me to explore what truly matters to me (my core values). And most importantly, how I see the world around me. Thank you. To everyone who followed me, liked, commented and shared any of my posts. You are the true MVPs. Now I don’t have wine, or a wineglass to clink the occasion. But I DO have water; plenty of it. And true to form, I will gladly drink this 1-litre bottle of water next to me in celebration of what I never believed I could achieve five years ago. 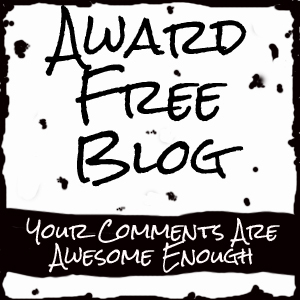 To my blog! And to you, for being undeniably awesome! Wow, that is great! Congratulations! So happy I found you here, great insight, great poetry. Congratulations! Bravo! I look forward to more of your journey with blogging. I shall be there as I always enjoy your work. You bet we are! “acros” United! Congratulations. Happy 5th Birthday. It is impressive that you have been blogging so long. How are you finding your experience so far? I think all bloggers are incredible. Oh me and my blogging journey. The wordpress community is great. I was so clueless at the beginning. I loved it and blogged away so much. I remain clueless still. Blogging is hard work and fun. I now just blog once a week. I enjoy it and there is much to learn from others. But, i let it take over my life a bit, but now i dont let it. What is your secret in managing to blog for five years. And how has your journey been? I have told myself to only publish a blog post when I truly feel like it. In the beginning I was a little zealous lol blogging every single day intent on getting every little bit of traffic but now, I have plenty of responsibilities. It pushed me to prioritize and bring more quality to my posts. Welcome. Totally understand about other priorities and balancing blogging around that. Lol I forgot to answer about my personal journey 😅. Its been filled with ups and downs. I’ve at times considered just dropping the blog altogether but you wont see me write about this lol. However, something always happens that seems to draw me back even on days when I feel like I have nothing left to offer. And the support I get from the WordPress community sometimes leaves me extremely humbled. Nice chatting you. Have a fab rest of the week. Wish you continued happiness in this space!